Serious fun! 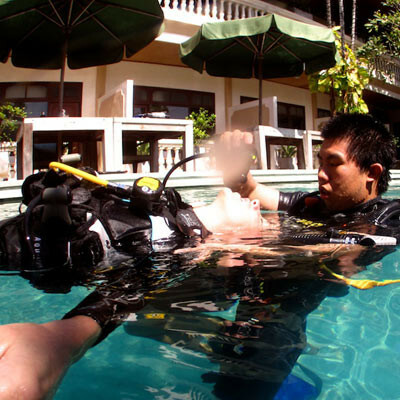 The PADI Rescue Diver course makes the subject of accident prevention and management enjoyable, fun and rewarding. As well as building self confidence and self reliance, this course takes your focus beyond yourself and your buddy to make diving safer for others. During the course you will learn essential skills to recognize and prevent potential diving accidents; and how to handle them if they do occur. This is where you get to play hero for 3 days practicing saving divers in need of help. 1 Day of scenarios where you will have to deal with various problems accruing during the day to practice what you have learn the first 2 days. Not yet EFR certified or is your certification older than 24 months? The Emergency First Responder course only take one day. Read more about our EFR Course.